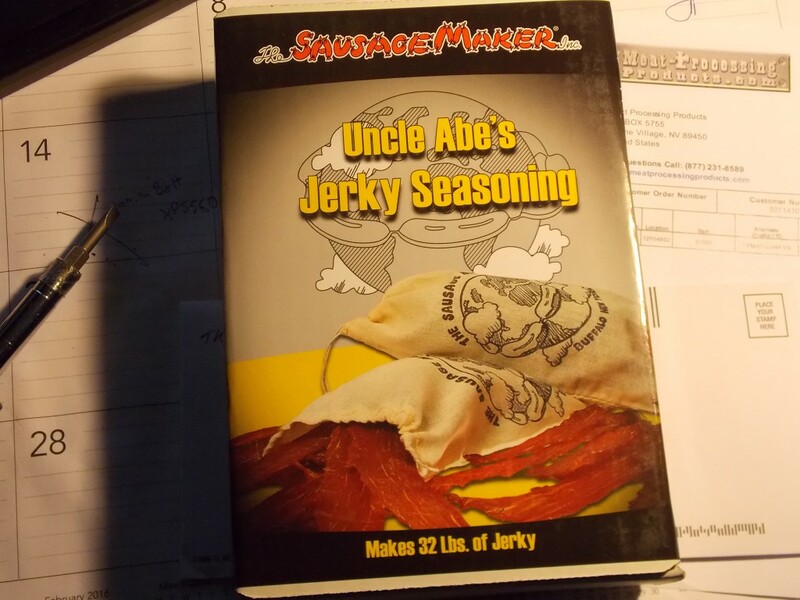 You�re viewing our Sausage Maker Uncle Abe's jerky seasoning � makes 32 lbs. Uncle Abe's jerky seasoning is the perfect recipe for delicious jerky meat. Sausage Maker Uncle Abe's Jerky Seasonings has a variety of flavors to choose from, the jerky seasoning is easy to use with no special equipment needed. Makes up to 32 lbs. of flavorful jerky. Directions for use is on each package. Includes Insta Cure� No. 1 (1 lb. per kit). If you have questions about our products we are here to help you. 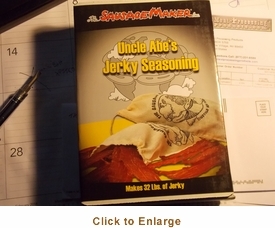 Scroll down to view our Sausage Maker Uncle Abe's jerky seasoning � makes 32 lbs.